Mr. Google knows and he’s found us on the map! 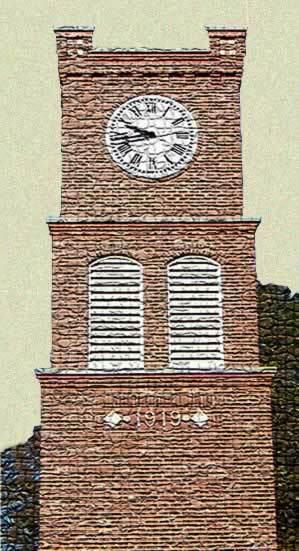 Our town clock was installed in 1920, and for over half a century tolled the quarter hours from atop the R. R. Haynes Memorial Building. When the building was razed in the late 1970s this new tower for the old timepiece was erected on the site of Mr. Haynes' original Cliffside home. Although the property of the county, the Cliffside Historical Society has assumed responsibility for maintaining this beloved antique.